AMD has come out and confirmed that its next-gen Ryzen processors, due to emerge at the beginning of next month, will not be officially supported for Windows 7. Last year, the company had said that Ryzen wouldn’t support the older OS, but as PC World points out, a recent report put the rumour out there that AMD had changed its mind, and would issue drivers for Windows 7 after all. Perhaps this was more believable because a hell of a lot is riding on Ryzen making an impact and being a success for AMD, so such a turnaround would be another way of getting one over on Intel when it comes to the plentiful number of users still running Windows 7. (Intel, of course, has already turned its back on Windows 7 with Kaby Lake CPUs). 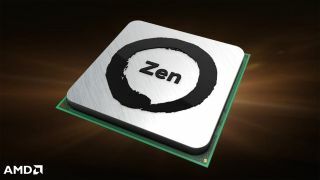 But this was just wishful thinking, and although AMD says it has tested Ryzen on Windows 7, there won’t be any official support or drivers for the new processors. So if you upgrade a Windows 7 system to a Ryzen CPU, the chip might work okay on the face of it, but there are no guarantees you’ll get the full performance levels or set of features which the processors will offer on Windows 10. And indeed, you might encounter stability issues. In short, it’ll be a pretty uncertain endeavour to run this software and hardware combination. Last August, Microsoft confirmed that only Windows 10 would support Intel’s Kaby Lake and AMD’s Zen (Ryzen) processors, and as we mentioned before, at the time, AMD stated that its processor roadmap was "fully aligned with Microsoft's software strategy". And it remains fully aligned, much to the chagrin of Windows 7 diehards, no doubt.